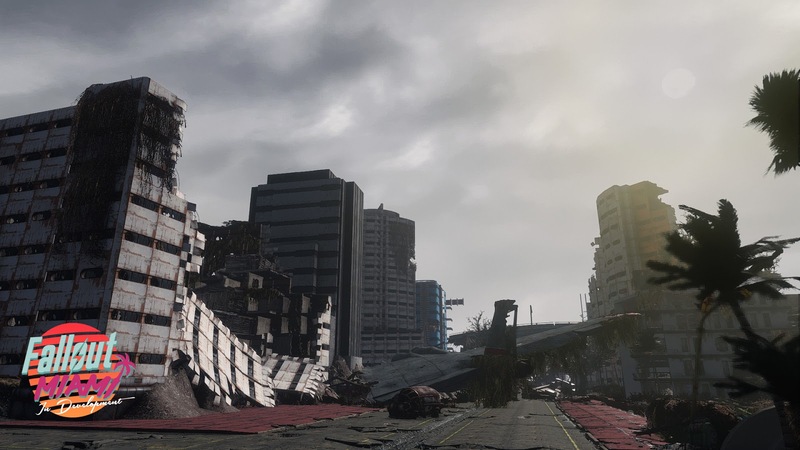 Fallout: Miami is yet another Fallout 4 mod in what’s a truly thriving modding scene. This DLC-sized mod is meant to be a side adventure where the Sole Survivor, Fallout 4’s main character, ventures all the way to sunny Florida. The Sole Survivor journeys to the sunny South, following the promise of a well-paid job but ends up embroiled in a conflict between various groups, some vying for power, others fighting to uphold their ideals. Fallout: Miami is a brand new world space, with a gripping main quest, side-quests, equipment, settlements, and a host of interesting characters and companions! Uncover the truth behind the mysterious disappearances and take part in the age-old struggle between Order and Freedom. Like the other big Fallout 4 mods, Fallout: Miami is also going to be exclusively available on PC, most likely due to the limitations Fallout 4 mods have on both PlayStation 4 and Xbox One. Below you can find the first official trailer; if you want to be updated on Fallout: Miami’s progress, check out the project’s official website. In other Fallout 4 mod news, the Ultra Interior Lighting has been updated to version 2.0 yesterday with the following changes according to creator gargorias. (1) More performance improvements using the triggered lighting system. (2) Improved the lighting and corrected some minor issues across many interiors. (3) XPRI issues in the Nuka World cells have now been addressed – many thanks to Sharlikran and zilav for all the assistance in resolving the issue. NON DLC version has also been updated to version 2.0 with the new changes in the Commonwealth interiors. I am continuing work on a plugin for the mod that will darken the ambient light and fog – will be coming in the near future! You can download Ultra Interior Lighting, which significantly improves the shadow lights cast in the game’s interiors, from Nexus Mods.